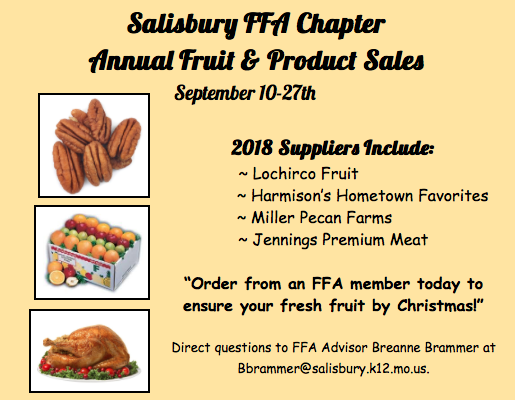 Support your local FFA as they begin their annual Fruit and products sale. I know I have. I can't wait. For additional information contact Ms. Bammer or any SHS FFA member.